Pantries are one of those rooms that tend to get messy quickly if you aren’t careful. Even though a pantry is usually small, the mess can be huge. 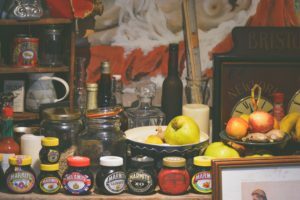 It’s not good to have a messy pantry as that is where you keep some of your food. And getting it to look nice again can take up a lot of time if you do not know how to do it right. It isn’t hard, it just takes a lot of focus and patience. With time you will learn how to organize your pantry quicker and how to keep it nice and clean at all times. Without these, your pantry won’t have that clean look that you are opting for. Each will have their own purpose. And don’t worry about how many shelves if enough. The more, the merrier! Even if you are left with a few empty ones, in the end, this will come in handy sooner or later. Same thing with the drawers. It’s better to have more than to lack some in the end. You also need at least one cupboard. These are great to have in your pantry for storing things like spices. 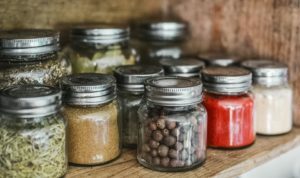 As spices have strong smells, you don’t want your pantry to smell like a strong mixture of 10 or more spices. You want your pantry to smell nice and fresh. Putting an air refresher will make your pantry smelling clean always. Organizing your pantry will have it looking clean. Good organization is the key to everything. Just like you can move on the budget, you can organize your pantry on a budget. If you are wondering where to put the hooks because the walls are filled with shelves, I have two words for you. The door! Yes! Putting the hooks on the door of your pantry will do wonders. You can hang up some rags, your apron, shopping bags. And if you screwed the hooks in, they can be used for pots and saucepans too. Hanging them up instead of stacking them on top of each other will save you so much trouble and space. But be sure not to put too many things. This can make your door very heavy. Put just two or three you use often. Buying containers. There are so many kinds, colors, sizes. My recommendation is to buy clear containers. The sizes don’t matter. Buy big ones and small ones, they will all come in handy for something. Clear containers are the best because you can see through them. So if something is going bad you can see it without having to open it all the time. This will also elongate the expiration date because you won’t be opening and closing your containers all the time. One more good thing about clear containers is that they give the appearance of clean. Plus you don’t have to worry if it matches your kitchen aesthetic if you have one. Containers and baskets don’t cost a lot of money at all. But if you are moving into a new home, make sure you are moving on a budget. Also, make sure you have insurance, this will come in handy if something bad happens. Whether you are in the need of an ordinary, household relocation or military relocation made easy, it will be much easier with insurance. Avoid mess with containers and baskets. So you have your containers, now it’s time to store your goods inside. Don’t forget to wash them first! After you have stored your goods you have to put them in groups. Let’s say you have a few kinds of cereal. You want to put the containers with the cereals all together. Great way to separate them from others it to put them in a basket that you will label “cereal”. This way, your containers will always be put back where they were taken from. You can do this with everything. Jams, spices, snacks, candies. Use colorful labels so you always know where to reach for. If you do this part properly, you will later have much more time to enjoy the best activities for seniors in Miami or do whatever you like. Store the things you use more often where it’s easy for everyone to reach. Not too low, not too high up. On the lowest shelves, I suggest storing juices, milk cartons, jams, oil. Things that are heavy and that don’t necessarily need to be in the height of your eyes. Use the top shelves for light things. Teas, coffee, dried goods. Another great use for top shelves is to put the leftover goods which didn’t make it into a container. Be sure to close them well so you can later refill your containers. For example, you can do this with sugar, flour, baking soda. If you have any canned goods, I suggest you put them on the lower shelves. Canned goods require a certain temperature and the shelves nearest to the floor are perfect. Hot air goes up and cold air stays down, remember that when deciding what to put where. It’s best that you put the things you use most often near the door so you always have them at reach. Put the goods you use often near the door. Clean your pantry at least once a month. Wipe the dust, make sure there are no bugs, get rid of the spoiled goods. Don’t let your pets go inside after all this is where you keep your food. If you want, buy a container that you will place on the ground for your dogs’ food. It’s a nice way to use up some space if there is any left. 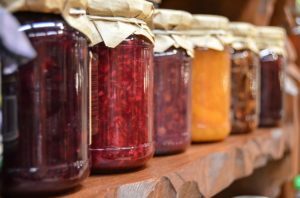 By following these tips your pantry will look neat and tidy. Don’t overdo it, though. Don’t forget to be positive about it. Maybe at first, you won’t find the containers that suit you, don’t let that demotivate you. 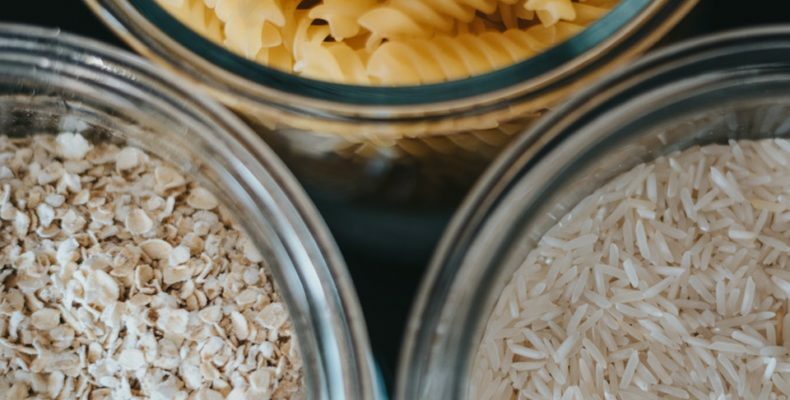 There are so many options and these are just some of them to help you organize your pantry if you have never done it before. If some of these tips on how to organize your pantry don’t suit you, put your own twist to it. It’s all optional. But it is really important that your pantry looks nice and not too crowded.